PopCap: Zynga is a "Marketing Company" That "Buys Customers"
PopCap Games sees Zynga as a company that fishes for customers without a worm. People may associate casual gaming with both PopCap Games and Zynga, but PopCap CEO Dave Roberts believes his company to be completely different from the social gaming giant. At the WTIA TechNW forum this week, Roberts said that he doesn't even think Zynga is a gaming company at all. Speaking about the ongoing changes in the social gaming market, Roberts said: "[Zynga is] in some ways struggling to catch up because they are not (about) gaming in their heritage -- they are a marketing company. They are a media company. They are awfully good at it. But we believe that ultimately, and it's our bias, that great content wins out. "Great games are always going to be better than great marketing," he added, pointing to the fact that PopCap's Bejeweled Blitz has more daily hits than Zynga's Mafia Wars with no advertising budget. "Zynga is really good at sort of using money to buy their customers every day. That's an interesting business model, but becomes complicated." Zynga titles are known for having huge dropoffs when their marketing abilities change, so Roberts isn't speaking out of his rear. PopCap Games has remained immensely popular by creating strong games, while Zynga is known for marketing stunts such as blowing up an armored truck. Roberts notes that companies like Zynga have trouble moving to different platforms, saying that FarmVille on the iPhone was an "abysmal failure." He believes that PopCap as a gaming company is better able to adapt, adding that it redsigned Bejeweled Blitz to make it work better on Facebook. His implication is that Zynga rode a breaking wave to earn its keep, rather than creating a lasting wave of its own. "The easy money days are gone," he said. "Now, it is not about luck, it is about good, old-fashioned hard work." 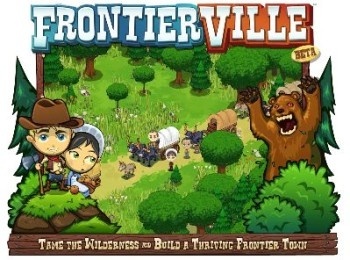 Zynga still appears to be having no trouble keeping players, but I think it'll truly remain successful by innovating with games like FrontierVille, which is no Sim City, but was designed by strategy game veteran Brian Reynolds and feels more like a game than FarmVille. If Zynga can use its profits to become more of a gaming company than a marketing company, it'll do just fine for itself, and maybe stop annoying so many of its players' friends on Facebook with those accursed notifications.